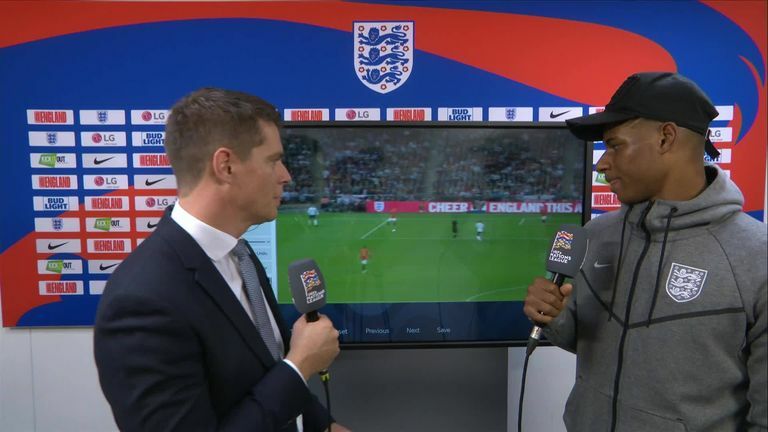 Marcus Rashford sent out a reminder of his huge potential as England's World Cup homecoming ended in defeat at Wembley. Rashford's opener means he has now scored in four of his six home starts for England, and it was made in Manchester as the striker latched onto a fine cross from his club team-mate Luke Shaw. Manchester United manager Jose Mourinho nodded in approval up in the stands, and Rashford had opportunities to add to his goal as England's most potent threat on the night. The 20-year-old will be keen to impress once more against Switzerland at the King Power Stadium on Tuesday. The forward will return from the international break at United to serve a three-match suspension for his sending-off against Burnley for violent conduct. Click on the video above to see Rashford reflecting on the Spain defeat.